Big Tree Recreation Site is not a misnomer; it is the home to a truly big tree. It’s believed to be the largest existing tree on the Sunshine Coast. The hike to the tree and picnic area is relatively short (only 0.5 km) on a wide, smooth path that is friendly to hikers, trail runners, and bikers. The path wraps through old growth Douglas Fir and second growth, and all the trees reach to breathtaking heights. The grove is just scattered enough that it allows for a surprising amount of sunlight to sneak through. The area is fairly remote so you’ll want to be sure to watch for wildlife and pack in and pack out your garbage. The Big Tree trail connects to a host of other hiking and biking trails of varying difficulty so you can certainly go for a longer journey if you so choose. 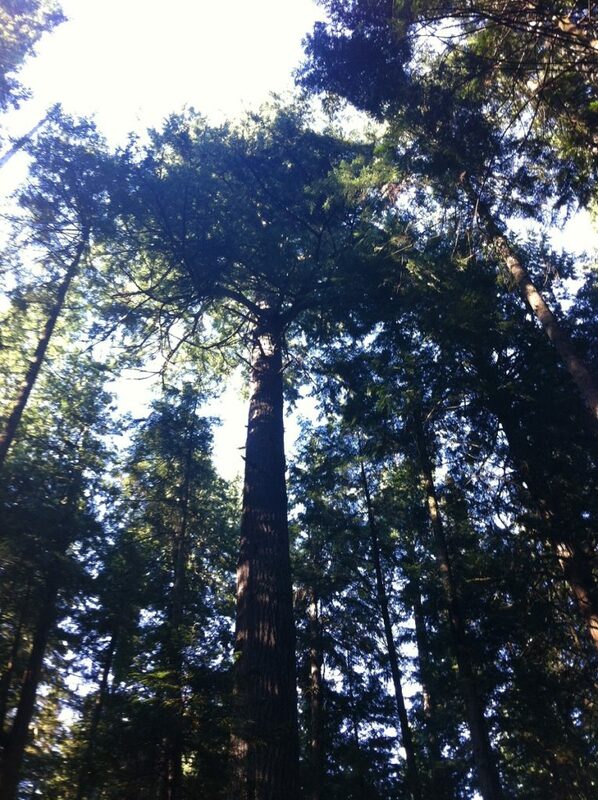 Big Tree sits 9 kms north of Sechelt on Highway 101 and just 400 meters south of Trout Lake. Take the Halfmoon-Carlson Forest Service Road which leaves the highway at a small rock quarry on your right. Proceed exactly 2.8 kms on the main logging road, ignoring spurs to the left and right. As soon as you pass the bridge, the trail head and parking area will be immediately to your right.